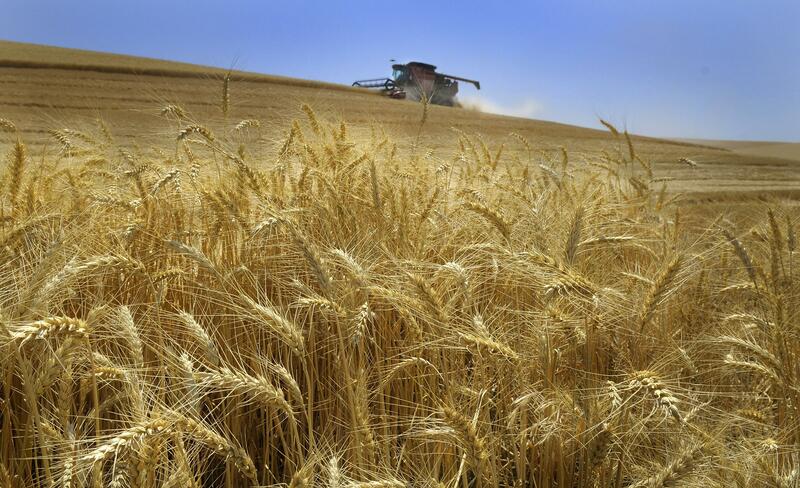 Washington’s wheat farmers are pushing back on President Donald Trump’s budget proposal that once again proposes cuts to crop insurance programs. The trade association, which represents farmers statewide, has released multiple statements this week critical of the Trump budget, which it says will cut crop insurance and other safety net programs by $47 billion over the next decade. That’s in addition to fears the administration’s move to pull the United States from a multinational trade pact with Asian countries will lead other nations, such as Australia and Canada, to move in on Palouse wheat’s market share in Japan. Key lawmakers on Capitol Hill signaled this week that Trump’s proposed cuts to agriculture programs likely wouldn’t survive congressional scrutiny, including negotiations on a new federal farm bill. The current law is scheduled to expire in September. Any cuts to assistance programs would hit growers on the undulating plains of the Palouse, who largely backed the New York real estate mogul’s 2016 presidential bid. Of all the counties in southeast Washington, famous for its soft white wheat production, only Whitman County, home of Washington State University, gave more of its share of votes to Democrat Hillary Clinton than to Trump. Trump’s plan achieves reduction in federal spending on crop insurance by reducing the amount of income an individual farmer or business can make and still buy insurance or be eligible for certain conservation programs. It also would reduce the discounts on crop insurance premiums for growers, which would save the government $22 billion through 2028 but also render coverage unaffordable for many farmers, said Hennings. When they opt out of buying coverage, premiums for everyone will increase, she said. “It won’t be a useful tool, because they can’t pay for the premium,” she said. Crop insurance replaced what were known as direct payments in the most recent version of the federal government’s farm policy, which faced a historically difficult path to passage in Congress in 2013 over disputes about the amount of money being spent on nutrition assistance programs. The Trump budget includes a cost-cutting proposal that has drawn much attention to replace some of the assistance, commonly known as food stamps, with door delivery of nonperishable food items. Farmers don’t make any money off the insurance program, Hennings said, and reducing access to the program in the form of cost savings would put an industry that’s already seen tumbling prices per bushel in an increasingly tough position. “Crop insurance is one of wheat growers’ only risk management tools,” she said. The association plans to work with the region’s lawmakers to revise Trump’s budget proposal to maintain the insurance program. Rep. Cathy McMorris Rodgers met earlier this month with wheat growers in Washington, D.C., said Jared Powell, a spokesman for the congresswoman. Powell said McMorris Rodgers wants to maintain the existing insurance system as part of the negotiations for a new farm bill. Growers also are encouraging the maintenance of trade programs designed to market American agriculture products on distant shores, especially given the administration’s decision to opt out of the Trans-Pacific Partnership, which the industry says could lead to losses of $3 billion annually by 2028. Trump’s budget for this year restores $200 million in cost-sharing assistance for promotion of American goods overseas, which was left out of his 2017 budget, but doesn’t include dedicated money for developing foreign markets.